To read the winning entries from our tenth competition just click on the links below and scroll down to view judges’ comments. 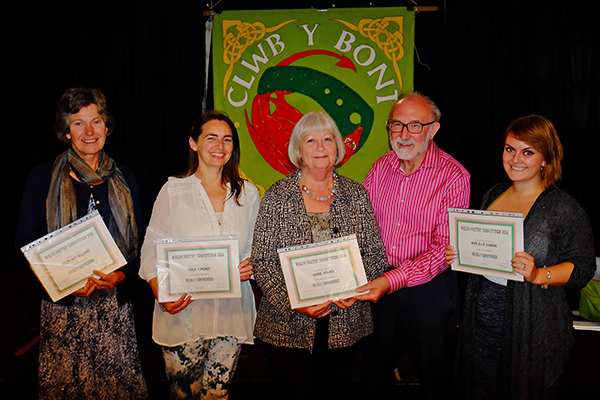 The results of the 2016 competition were announced at a special prize night in Pontypridd where judge John Evans spoke with real passion about all the winning entries and once again showed us why poetry is one of the greatest art forms man has to offer the world. Results were announced on our web site, Facebook Group and Twitter on Sunday 3rd July, 2016. We have also informed Literature Wales, Pontypridd Observer and associated district newspapers, SW Echo, the Western Mail, BBC Wales and RCTCBC as well as many organisations on our mailing list. 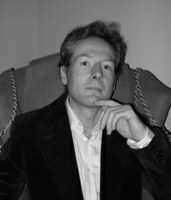 Thanks to John Evans for judging this years competition, and thanks also to all those who entered and look forward to reading your work next year. Many of these names you will recognise from previous year’s winners of course and many will be new, proving once again, that the international Welsh Poetry Competition is one of the best of its kind in the world. A fair competition that discovers new talent often over-looked by the arts ‘business’ / establishment in Wales and the UK. Blackfish, the name given to killer whales by Native American fishermen back in a long gone, pre-colonial, age when the creatures of this earth were venerated by indigenous peoples. It is also the title of an excellent documentary film which tells the tragic tale of Tilikum, the SeaWorld orca. And now, of course it is also the title of an equally informative and moving poem. Tilikum, stolen from his mother, while still just a baby, off the coast of Iceland in 1983. “Bagged in a purse-seine net”, and taken from the “Arctic mass of great waters” to a containment tank, “a tepid box of blue glare…where open sea is a closed memory”, at SeaWorld, Florida. The scene is set, but this poem allows us to delve deeper than what is achievable through the conventions of documentary story-telling. Far, far, deeper. That’s the power and beauty of poetry. The sharp, vivid, imagery not only captures the physical abuse, that Tilkum endured, it also lets us feel and experience the mental anguish and resulting psychological damage done to this poor creature. Tilikum, traumatised, finding himself “in this landlocked seaworld”, is also now starved because he was unable to perform his “treats for tricks”. Despite the need to tell the story and drive this disturbing narrative along, the author manages to achieve that most difficult of all feats when tackling subject matter like this and always remembers they are writing a poem. There is a lyrical, musical quality to the words, which adds weight to meaning, as the author cleverly utilises all the means at their disposal; rhyme, alliteration, assonance, and consonance. “Steal the show from seals”; “dorsal droop…jumps through hoops”; and my favourite, “when impulse…tub-thumper”. But perhaps the most compelling poetic device used is the imagery. A poem, the use of words, and the right words, and in the right way, can convey an image more vivid, more real, and more meaningful than any still or moving picture. And in this poem we “face” the whale. And we “face” the pain. “Face the raked bull orc’s blunt ache,/of gnawn metal nubby-toothed/stone-mad grin.” Blackfish. A story. A film. A poem. All of which I dearly hope will help put an end to SeaWorld, and all the suffering it has inflicted on whales and all the other sea creatures used in its repugnant circus of horrors. Remember Tilikum: “he lies dead-alive in the world”. And remember the message of this poem. Art can make a difference, we just need to act on it. This is a powerful and moving poem, very skilfully executed, and a very worthy winner. Simple. Elegant. With a quiet beauty. Yet, as powerful and moving as both of the poems that finished above it. Just like the phrase used in its opening line, this poem “slips under the fence”. The haiku-like, concise, precision of the imagery lays before us all the wonder of the natural world: “She comes with the dawn in a tangle/of smoking breath, shadow boxing/with birch shadows”. Again, form perfectly reflects the content. It is never over stated, and at all times the author allows the imagery to do the work: “I watch/her from the window as she races the merlin/over the meadow…” On a beautiful, warm, summer evening as the sun was setting, I once watched as a hare emerged from cover and slowly strolled along (in that awkward way hare’s do when walking) before stopping just a few yards in front of me. There in that golden light, without any care or concern whatsoever about my presence, it proceeded to slowly and carefully wash itself before hopping away along the path ahead. It literally walked into the sunset. A magic moment, and a treasured memory. This poem manages to capture and convey those precious times when we are lucky enough to interact and commune with nature on that deeply spiritual and mystical level: “A russet and black/apparition whose eyes glitter and flame/with Betelgeuse.” Of all the creatures in these Isles, hares have always had a special significance for many people ancient and modern. It is beyond comprehension that in 2016, in some areas, hare coursing is still legal and considered a sport. As simple, as elegant, and as beautiful as the hare which is the subject matter, this poem also tells us why we should all value, cherish, and work to protect, our animals and environment. In every way, it has also earned its right to be among the winners. During my first read through of all the competition entries, this poem really caught my attention. It was a poem which used end rhyme, and in rhyming couplets. Not always popular with the literati these days, but it is an age old form which has stood the test of time for good reason. Aside from “fashion”, and that sometimes overly self-conscious desire to be contemporary, it is also a form which is very difficult to get right. This of course has also led to many badly written poems which bend over backwards and struggle, usually unsuccessfully, to find the right word to “fit”. Nonetheless, this poem was well crafted and the writer skillfully managed to achieve this without ever making it sound unnatural. The form aside, what really grabbed me most was, as the title suggests, its “simple beauty”. “I came upon a small red flower,/I don’t know the day, or even the hour.” The poem reached out to me and pulled me in: “Such beautiful petals covered in dew,/I convinced myself that for me it grew,”. And I really, really wanted the subject matter to be real. I desperately didn’t want to find out later that the author had just imagined this sort of scenario and not directly experienced these things themselves. It all felt real to me. Authentic. And on some deep instinctive level it moved me. I felt all the emotions the author had gone through and I was there beside them on this life experience: “The comfort it brought me to be in its gaze/the happiest day of all of my days.”. I’ve just written a blog for my website in which I explain why I believe that real art is a gift, and why I think those works are “imbued with all the thoughts, feelings, and emotions, the very soul and spirit, of the artist as they were inspired to create and complete their work”. And as a consequence these pieces “have certain qualities, and a power and resonance beyond others not created in the same way.” This poem has that special quality about it. When the competition had closed I was anxious to know who had written this poem, just to see if I could gauge if it was, as I believed, a poem created out of real experience. And I was moved when I found out it had been written by Daniel Holmes, a young man who has been unjustly sentenced to serve ten years in in a Maltese prison for a minor offence. “The next day I returned but my flower was gone,/destroyed by this place, and all that is wrong.” Daniel is a talented and promising new writer, and he and his lovely family deserve our support. See also our links page for details of other poetry web sites in Wales and beyond.